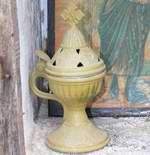 Description: The broad shallow cup has a rounded shoulder and a plain vertical rim. 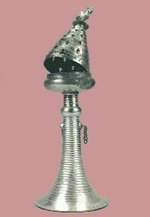 It is soldered to the top of a tall pedestal which flares, at first gently and then sharply, to a splayed base. 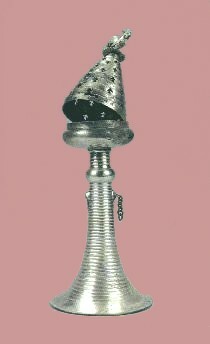 The conical cover is composed of ten stepped tiers, the lowest of which fits over the rim of the cup. 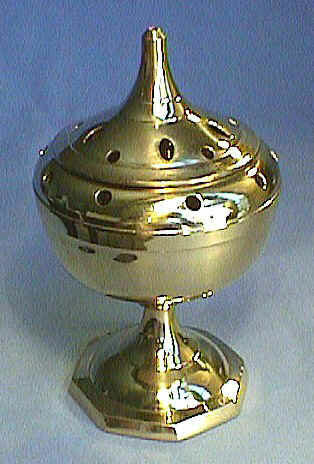 Cut out of the central eight tiers are arrow shaped slots to allow the smoke of the incense to escape. 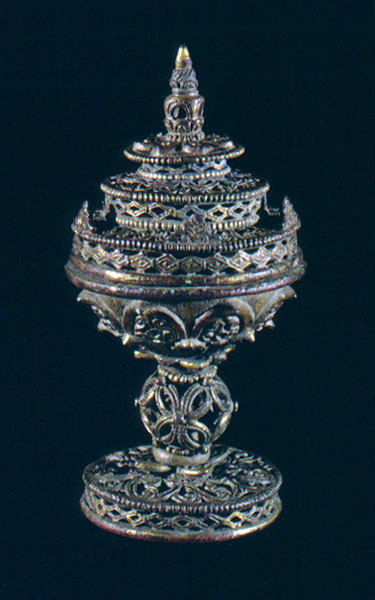 Height of stand 1 7.9 cm. 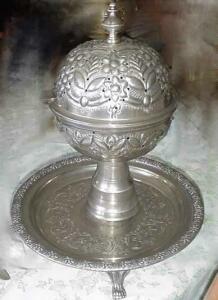 height of cover 1 0.9 cm, diameter of cover 6.3 cm, total weight 221.48 gr. 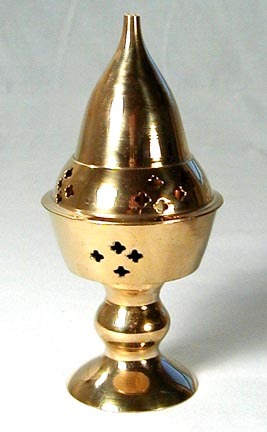 Description: H 15 cm. 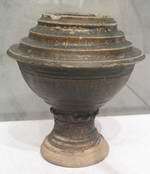 The basic shape and several of the distinctive design elements-particularly the sphere in the base, the lotuses and the lozenge shapes-can be found on Vietnamese ceramics of the 12th and 13th centuries. 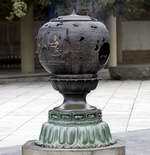 Description: This large incense burner is placed directly at the seat of the Daibutsu (Dai means "large" and Butsu is The Buddha). 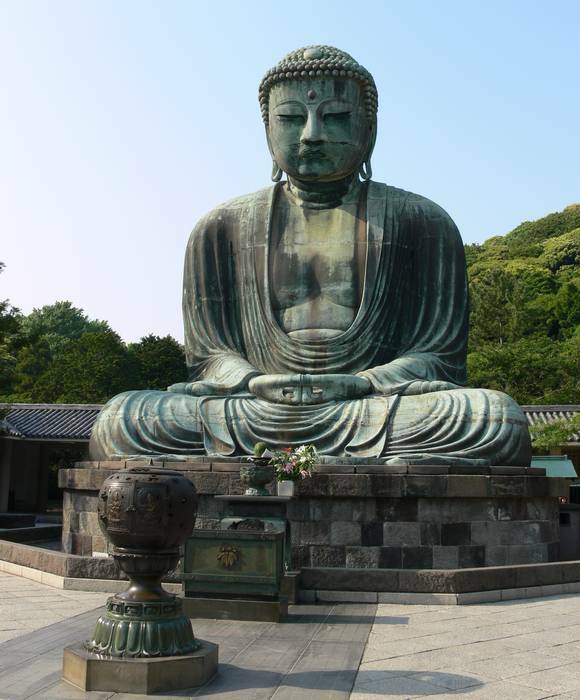 The bronze statue is 22.3 meters tall and weighs 121 tons. 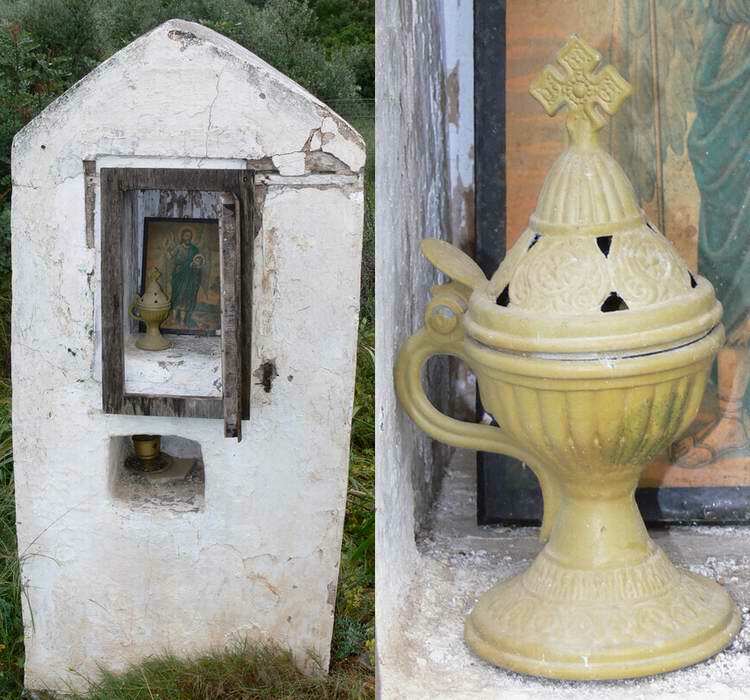 It was once surrounded by a temple, but in 1498 a tsunami came ashore and swept away everything except the enormous statue. 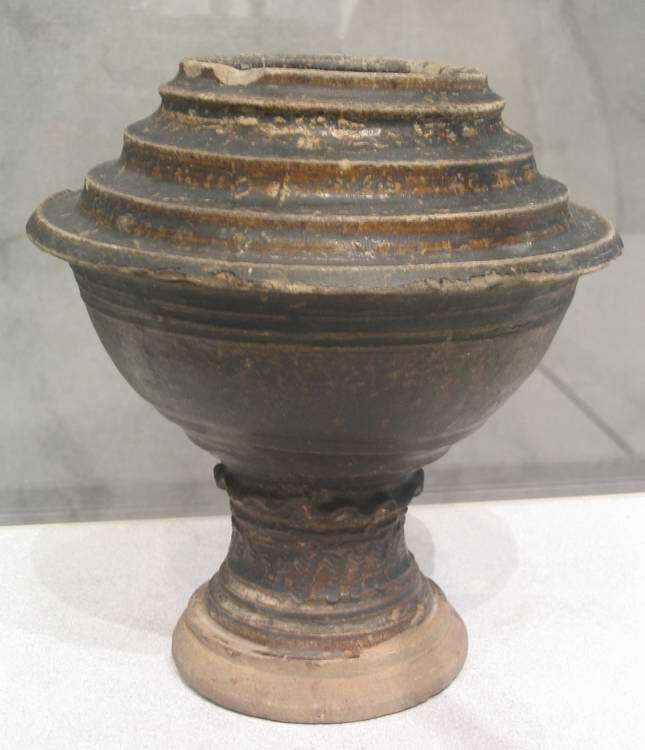 Period: Han dynasty Location: Ancient & Classic Inc. 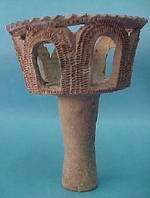 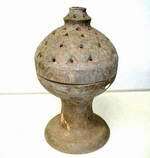 Description: This incense burner is into an altar located near the village of Bali, Crete. 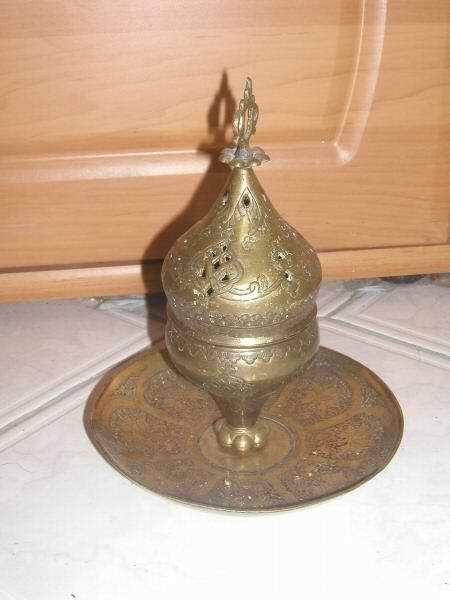 Description: The burner is about 7 1/2 inches tall. 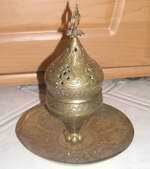 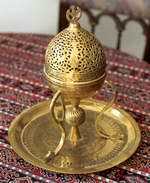 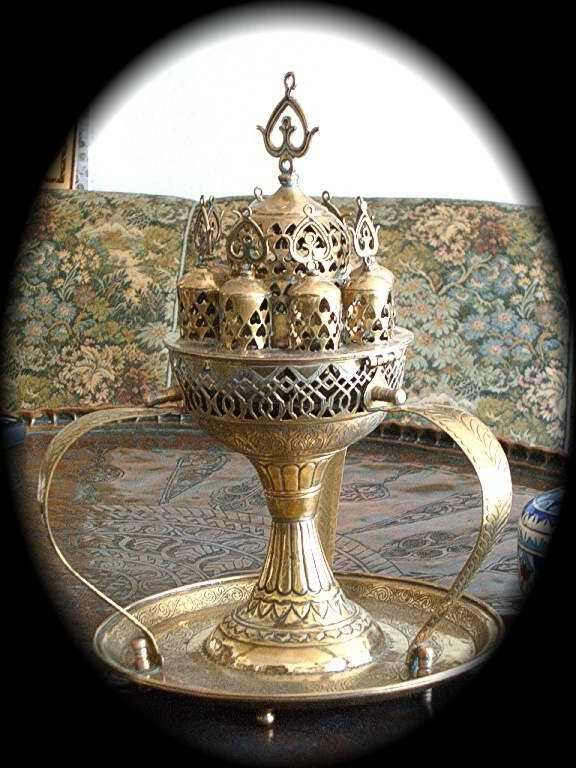 Description: Brass Mabaakhur (Incense Burner) with hand worked designs.